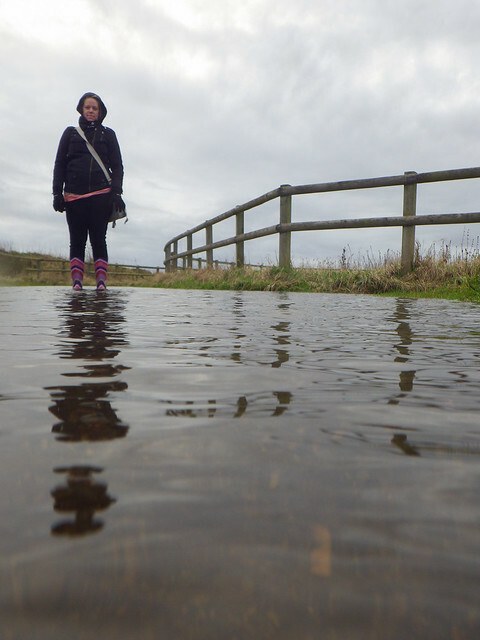 Since I bought my Pentax WG-2 waterproof camera I’ve barely used it. 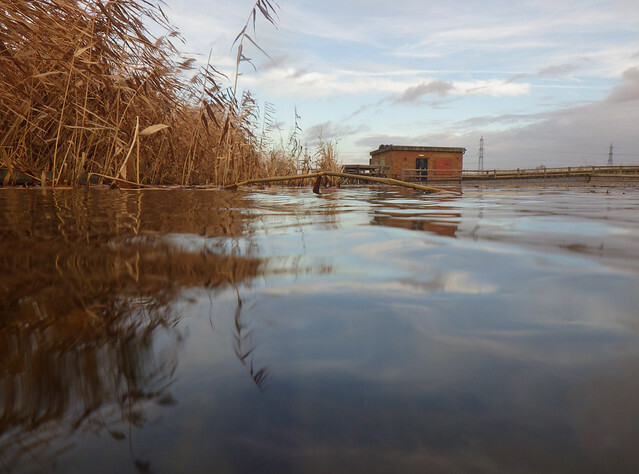 As a waterproof compact, it doesn’t match a DSLR for quality, but its ability to be submerged in water does offer some different opportunities. 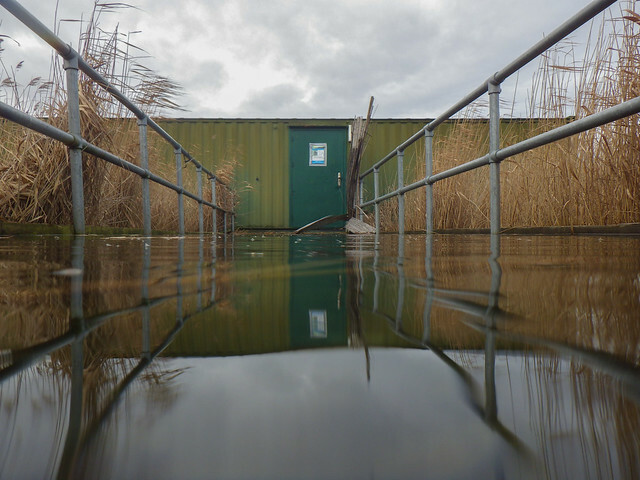 Today I went to RSPB Rainham where the constant rain has flooded large areas, so I thought I try the WG-2 out. These are just grab shots from my walk around, but give some idea what is possible. 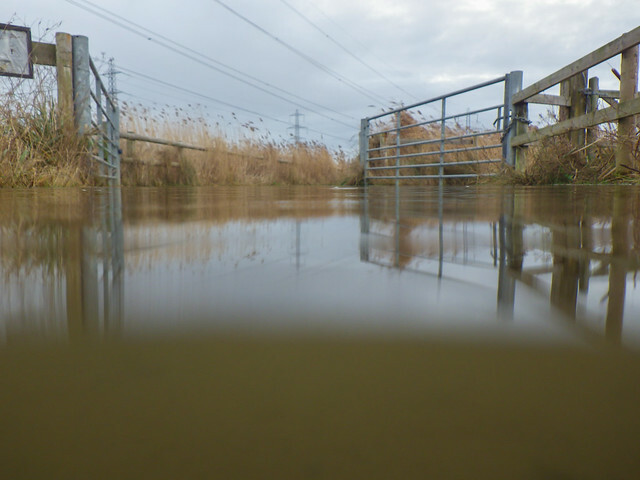 With the small lens getting half under, half above water shots is tricky, but I got some on the flooded paths. Over the edge of the boardwalk too. 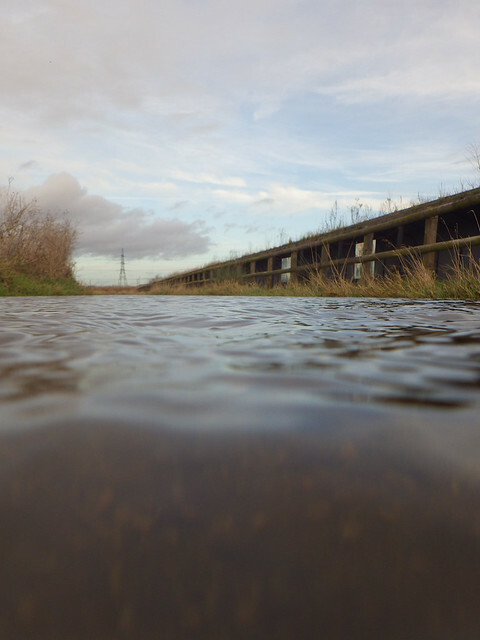 It worked best with the low down at water level shots. 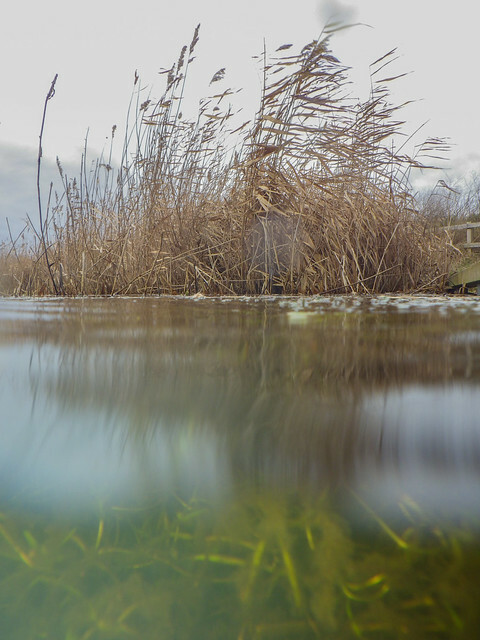 Underwater its not a bad camera. With some decent light and clarity, some nice shots could be had. 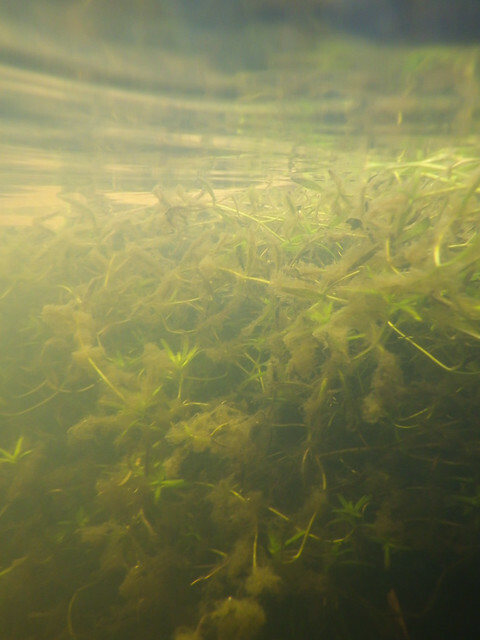 Here is some starwort growing in one of the pools. Blimey Neil- looks like me and Ros will have some clearing up to do!